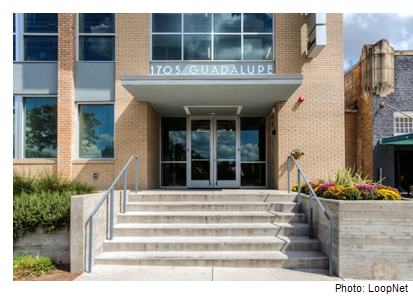 ​ AUSTIN – ​A refreshed office building at 1705 Guadalupe St. was sold to local investment company Seamless Capital. The 47,345-sf property was listed for sale about a year ago. The Travis Central Appraisal District most recently valued the property at $14 million for tax purposes. NeighborFavor Inc., the company behind the Favor delivery app, and TBG Partners, the landscape architecture firm, are two large tenants at the property.